Morrison Gallery in Kent, CT is pleased to announce an exhibition of Salvador Dalí works starting Saturday, November 18th, when it will display more than 19 artworks of the master of surrealism. Visitors will see a collection of bronze sculpture from The Dalí Universe as well as graphics illustrating the great themes of literature. Mr. Morrison, Ellie Place, and Bertrand Epaud, Project Manager for USA for The Dalí Universe, chose the selections from the famous collection. The art will be on exhibit at Morrison Gallery in Kent on November 18, 2017 to February 11, 2018, with an opening reception November 18, 5 – 7 pm. The limited edition multiple sculptures on display are part of The Dalí Universe collection. The Dalí Universe also manages the largest collection in the world of Dalí sculpture and three-dimensional objects, which has toured more than 100 museums worldwide in the past 30 years, and has been seen by more than 12 million people, often breaking entrance records. 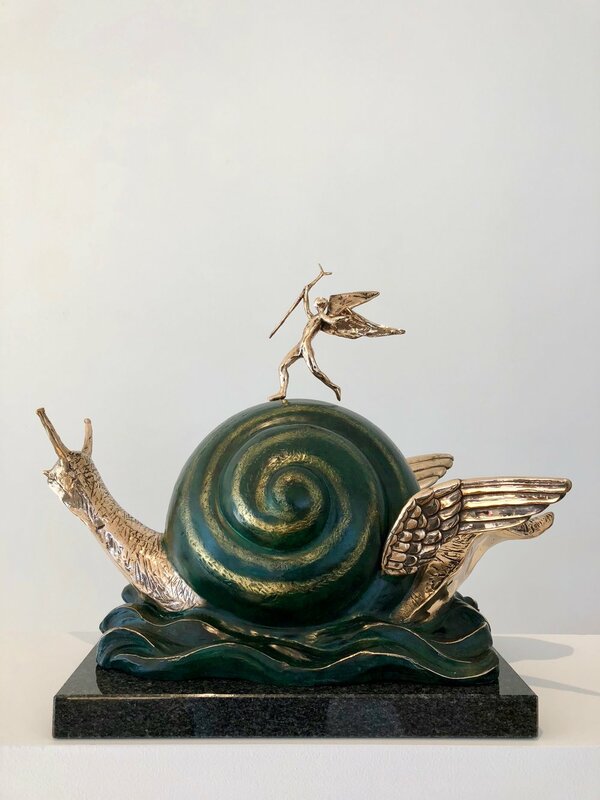 This amazing collection has been assembled by Mr. Beniamino Levi, a famous collector and gallery owner, who dedicated his entire life to collecting Salvador Dalí artworks, and also collaborated with Dalí in the creation of editions of sculpture. Media: For additional images or questions, contact Ellie Place at 860-927-4501, or ellie@morrisongallery.com or visit www.morrisongallery.com.